Happy Friday! 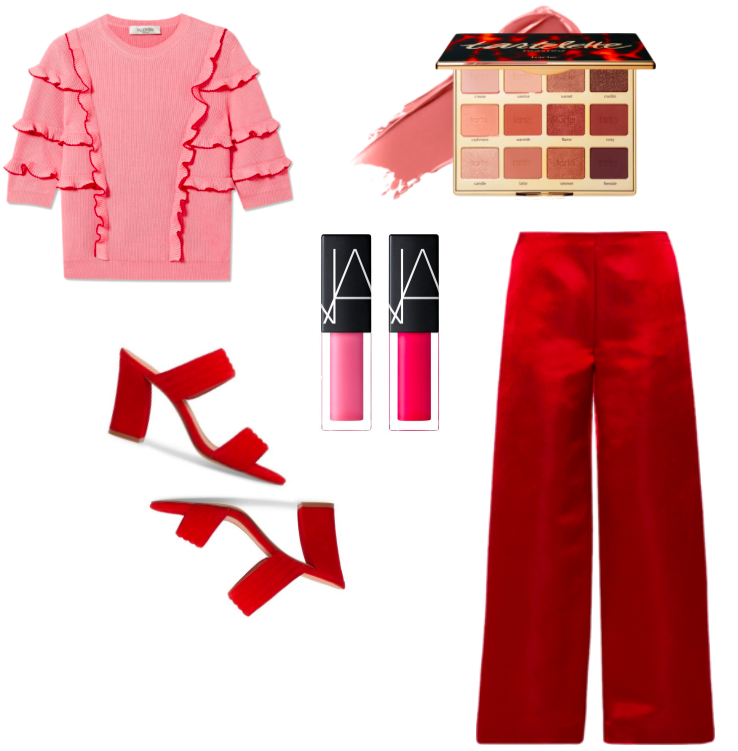 Since so many of us have waited until this weekend to celebrate Valentine's Day I decided to share a little Lady in Red inspo with you today. As I said in an earlier post, there is just something so alluring and iconic about the scarlet shade. Whether you're going for a head to toe look or a pop of color here and there, this color speaks volumes without ever saying a word. This dress is special occasion worthy. Pair it with these heels and a great bag and your sweet guy will never want to let you out of his sight. For a more demure yet every bit as chic look try a pair of wide leg pants and sweetly detailed top. The look says, always a lady with style to spare. I love adding a black accessory with this color as it can add just a bit of edge to finish things off. What about you all? I'd love to hear how you like to style this classic! Wishing everyone a wonderful weekend...thanks for stopping by!